The cooking equipment in our kitchens has been evolving since it was first invented. This equipment aids us in cooking by simplifying the steps when preparing dishes and shortening cooking time. There is a lot of cooking equipment available on the market, depending on the dish you want to prepare or on the cooking method you prefer. Cooking equipment also varies per region, depending on the ingredients of the cuisine being cooked. While it is easy to recognize one piece of cooking equipment over the other based on their physical appearances, their names can sometimes create confusion for kitchen newbies. Rice cookers and pressure cookers are two kitchen appliances that may look different, but sound very similar. 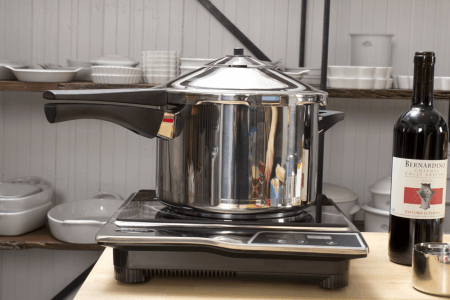 In this article, we will learn the difference between rice cookers and pressure cookers. Here is a chart briefly detailing some of the differences between rice cookers and pressure cookers. Consists of a cooking bowl, a heat source and a thermostat. Consists of an inner pot, heat source, and temperature and pressure sensors. Some models can now can accommodate the steaming of buns, vegetables, and dumplings. Some models can now function as slow cookers, steamers, yogurt makers and stock pot warmers. 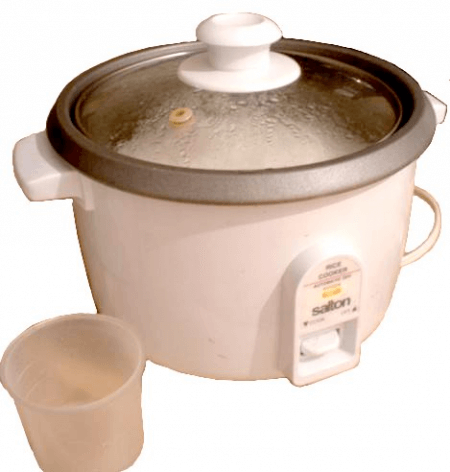 Rice cookers, also known as rice steamers, are a type of kitchen equipment used to cook rice. They use the method of steaming to cook rice. Cups of rice are transferred into the inner pot of the rice cooker. Water is then added to the uncooked rice. When turned on, water is heated to its boiling point and turns into steam. The grains of rice then absorb the steam and get bigger and fuller until all the water is absorbed. All rice cookers have a cooking bowl, a heat source and a thermostat. Rice cookers have been used since 1250 BC in China. In fact, an ancient rice cooker is on display in the British Museum. They were commercially introduced by Mitsubishi in 1945 in Japan. Nowadays, rice cookers have different capabilities, such as having settings for making congee, or even sticky rice. Some models are also designed to accommodate the steaming of buns, vegetables and dumplings. The pressure cooker was first invented by the French physicist Denis Papin in 1679, and was first manufactured in 1864 by George Gutbrod. Early models were made of tinned cast iron. However, the first one designed for home use was invented in 1938 in New York City. In modern times, some models can function as a slow cooker, steamer, yogurt maker and stock pot warmer. Rice cookers use the method of steaming to cook rice, while pressure cookers generate pressure from steam to tenderize meat. Rice cookers consist of a cooking bowl, a heat source and a thermostat. On the other hand, a pressure cooker consists of an inner pot, heat source, and temperature and pressure sensors. Modern models of rice cookers can accommodate the steaming of buns, vegetables, and dumplings. Modern models of pressure cookers can function as slow cookers, steamers, yogurt makers and stock pot warmers.